Three male pheasants visited our garden this morning looking for something tasty to eat. They found what they wanted around the bird table where we throw seeds, fruit and nuts for the ground feeding birds. Seeing them made me think about all the living creatures we don’t spot at this time of year…particularly all the small insects. Most of them are tucked away safely in snug dry places. 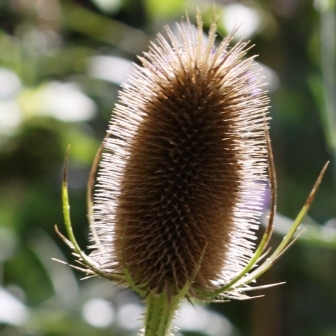 Hollow stems and seed heads are a favourite hiding place and Teasels are particularly good for tiny insects. They have hundreds of crevices which contain their seeds. It’s a miracle the Teasels are still standing after the gales and torrents of rain. In my exposed garden they wave around a great deal but don’t snap. There will still be plenty of seeds left for the goldfinches when they visit in spring. 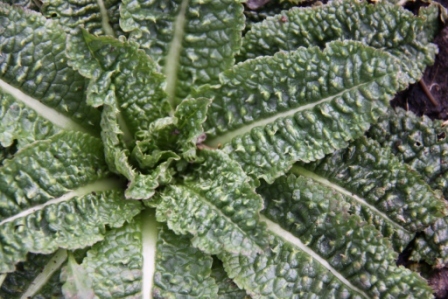 Here’s a gallery of photos of Teasels throughout the year. Just click on the first photo to see the images in more detail. If you’ve never grown teasels I encourage you to give them a try this year. Some people don’t like the way they freely self seed but their spiny seedlings are easy to identify and remove if you wish. To me they are not a problem and I wouldn’t be without them in my garden.